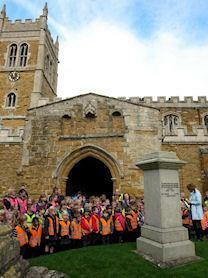 The staff and children went to Church on Remembrance Day. The children read some beautiful poems and words and remembered those who gave the ultimate sacrifice. At precisely 11am everyone gathered around the memorial for two minutes silence.